When the Pioneer Theater-Auditorium was completed in December 1967, it was going to be named the Apollo Theater. Instead, the golden-domed building came to be called the Pioneer Theater-Auditorium after the statue of a pioneer family that stands in the front plaza. The statue, entitled HUMANITY, was created by the sculptor Byron S. Johnson in 1939 and had been at the old State Building, which was demolished in 1966 to make way for the theater. 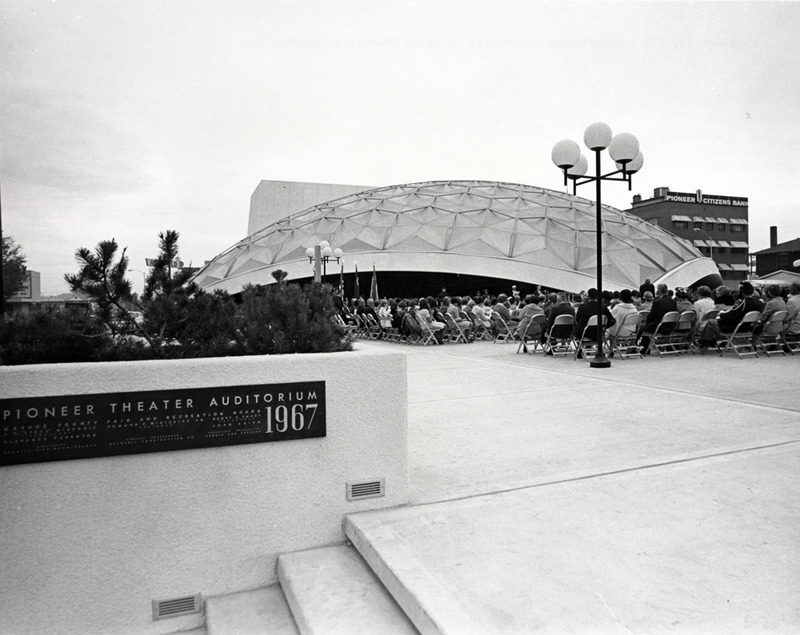 In the 1960s, Reno and other cities across the country were actively building facilities for the performing arts, and halls to accommodate and attract the growing convention industry. The Pioneer Theater-Auditorium was intended to serve both purposes; however, a political dispute arose over the location--downtown or to the south of town. 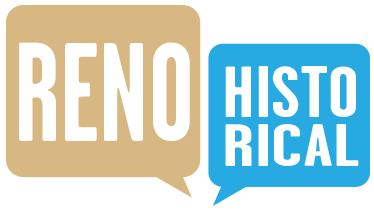 The problem was resolved by building two separate facilities: the Centennial Coliseum (the current Reno-Sparks Convention Center) south of Reno and the Pioneer Theater-Auditorium downtown at 100 S. Virginia Street. The Pioneer Theater-Auditorium was designed by the Oklahoma City architectural firm of Bozalis, Dickinson, and Roloff, which had designed other domed buildings. 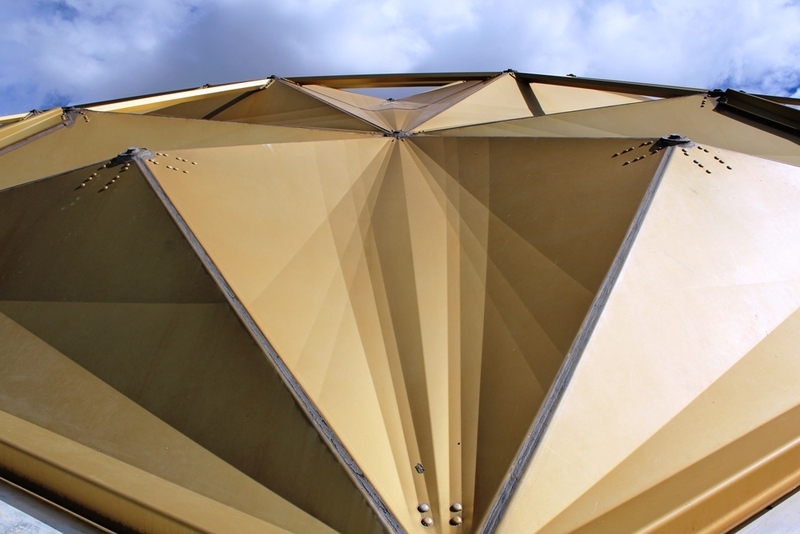 The Pioneer features a gold-anodized aluminum geodesic dome comprised of 500 panels. 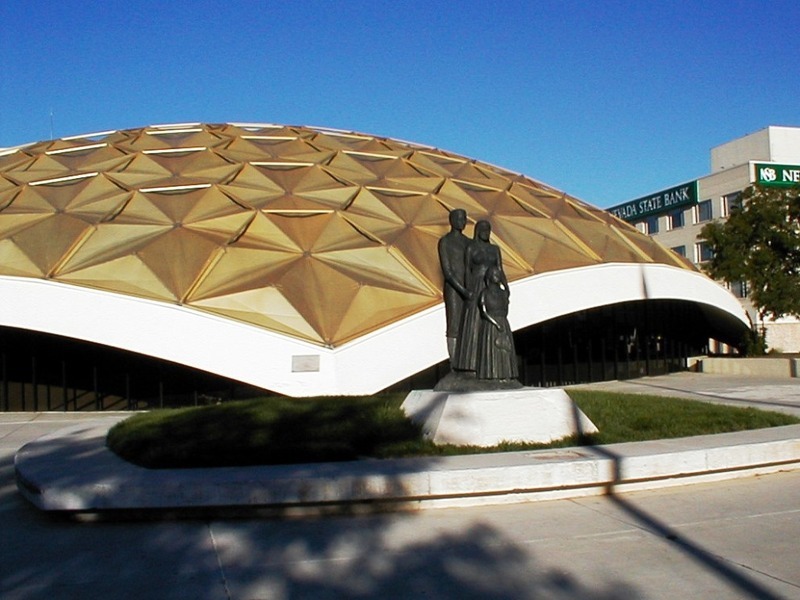 The roof is a dome within a dome—an exterior aluminum dome and a steel frame dome on the interior. The steel frame dome supports the catwalks, sprinkler system, and the lobby ceiling. 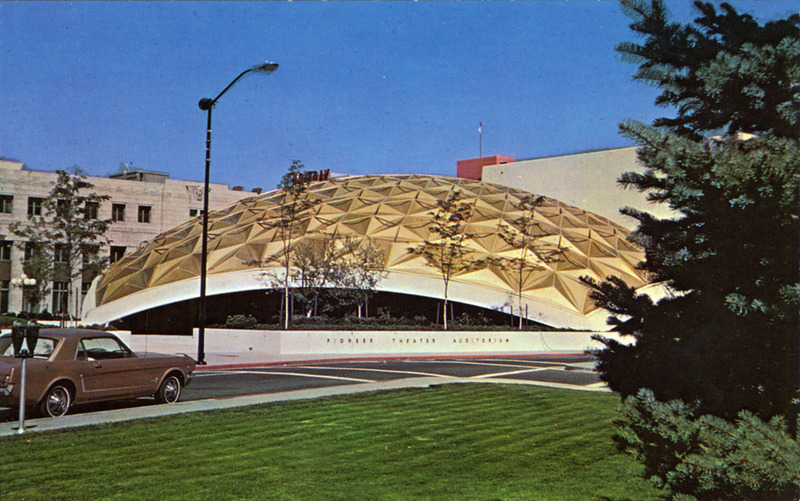 The dome was erected by Temcor, a Torrance, California, company that later built the dome at the Silver Legacy Hotel Casino. 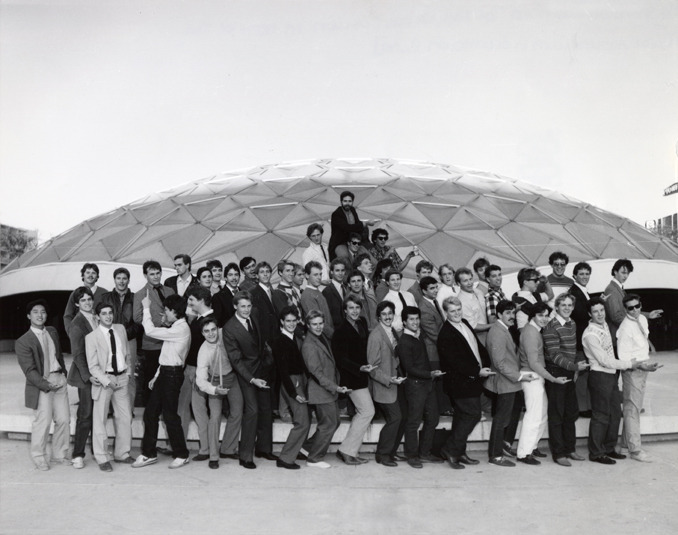 The selection of a geodesic dome, the brain child of the architect, designer, inventor, and futurist Richard Buckminster Fuller, shows the confidence with which Reno undertook the process of cultural development. 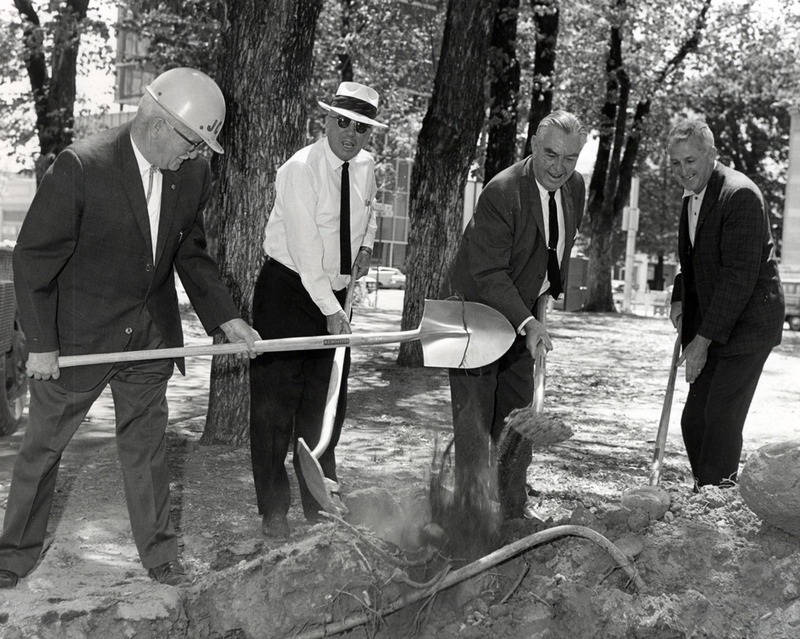 In the mid-1960s, local government officials looked forward to Reno's future with unbounded optimism and they were willing to make a radical choice for the new theater. 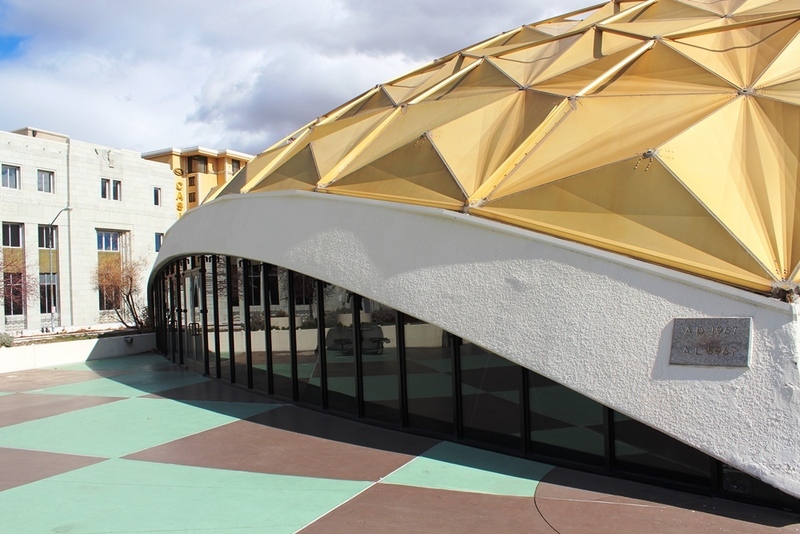 William Gravelle, the chairman of the Washoe County Fair and Recreation Board, brought the idea for an aluminum dome convention hall before the board in 1964, calling it "revolutionary and beautiful in appearance." 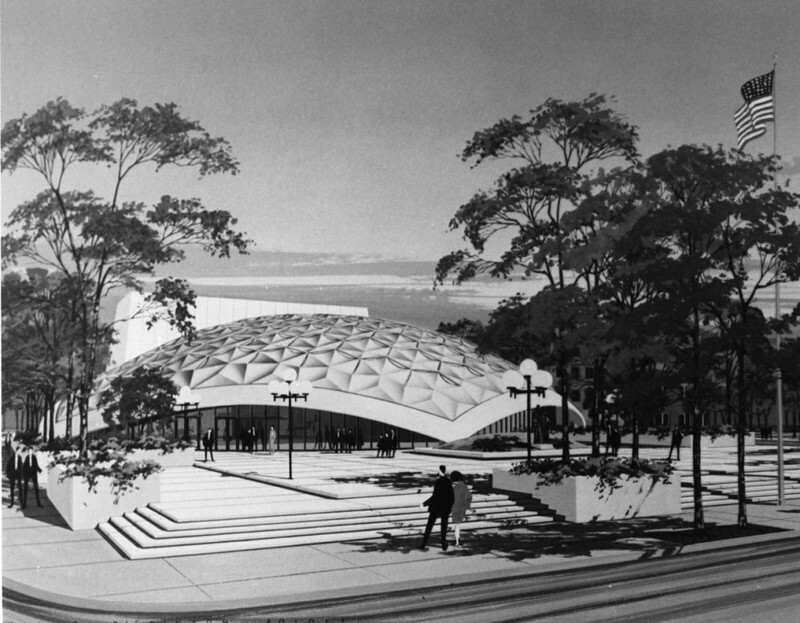 Artist's concept : The geodesic dome was conceived by Richard Buckminster Fuller as an efficient and economical means to enclose a large space, based on Buckminster Fuller's observation that the triangle is the strongest shape in nature. Mella Harmon, “Pioneer Theater-Auditorium,” Reno Historical, accessed April 20, 2019, http://renohistorical.org/items/show/70.